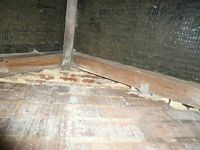 Independent CPR Part 35 report for court on poor workmanship to a Derby roof by rogue traders. 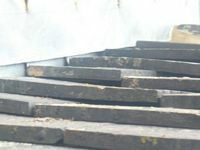 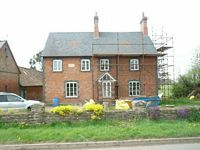 Report on a defective Nottingham roof by cowboy builders. 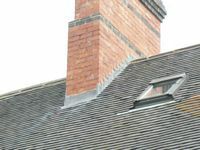 Here our Nottingham surveyors surveyed roof that was leaking after being recovered and having the chimneys rebuilt. 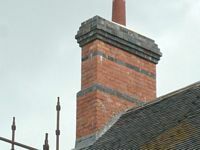 The leaks were traced to poor detailing of the metalwork that surrounds the chimneys and roof lights and failure to secure the lining sheet.